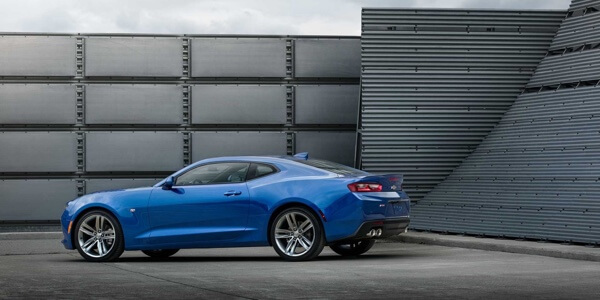 Whether you value full-blooded muscular acceleration out of the gates or agile maneuverability as your tires hug the road on a country highway, the 2017 Chevrolet Camaro does it all. 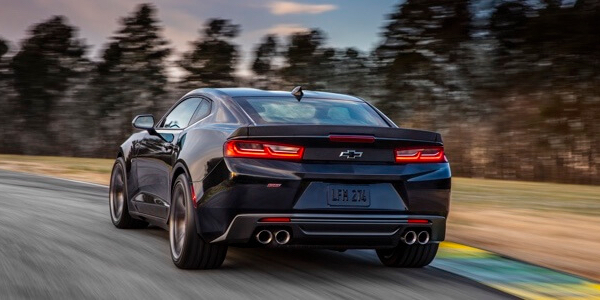 Running on a surprisingly sophisticated suspension, the Camaro is offered with four different engine options, including a turbocharged 2.0 inline-four, a 3.6L V6, a 6.2L V8, and an all-new supercharged 6.2L V8 that’s slated for release later in the model year. Each engine comes mated to a six-speed manual or eight-speed automatic transmission that distributes power to the rear wheels. Here’s a look at the performance specs on each 2017 Chevrolet Camaro engine. 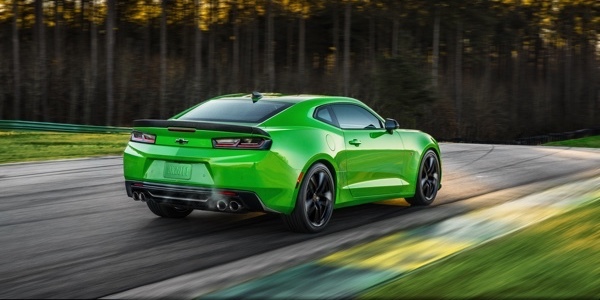 The base engine on the first two 2017 Chevrolet Camaro trims is a turbocharged 2.0L four-cylinder. This engine delivers a surprisingly commanding 275 hp and 295 lb-ft of torque. Thanks to it innovative setup, you’ll get up to an EPA-estimated 31 mpg highway and 22 mpg city with this setup. 2017 Chevrolet Camaro 1LT and 2LT trims can also be upgraded to a 3.6L V6 engine. If you go this route, you’ll get a performance bump to 335 hp and 284 lb-ft of torque. Fuel economy remains competitive, too, with up to an EPA-estimated 28 mpg highway and 19 mpg city. With the V6, the Camaro can hit 60 mph in only 5.4 seconds. You can also opt for a 1LE performance package that increases the suspension’s stiffness and tamping, comes with better gripping tires, and high performance brakes. There are two different 2017 Chevrolet Camaro SS trim levels, both of which come with a 6.2L V8 engine that makes a balanced and robust 455 hp and 455 lb-ft of torque. That’s enough power for the SS to reach 60 mph in just 4.2 seconds. You’ll also get automatic rev matching on models equipped with the manual transmission. The 1LE package is available on the SS, as well, which increases agility and handling. With this engine, you can expect up to an EPA-estimated 28 mpg highway and 17 mpg city. 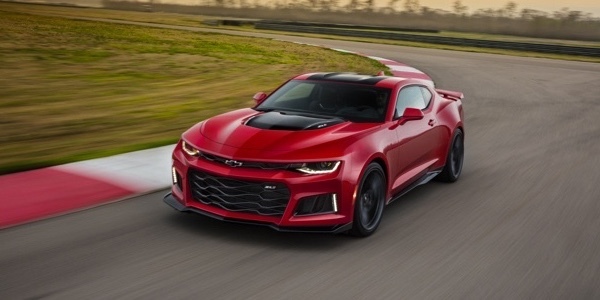 This year, Chevrolet is bringing back the coveted Camaro ZL1, a classic performance model. It gets power from a supercharged 6.2L V8 that will pump out a staggering 640 hp and 640 lb-ft of torque. Look for it to arrive later in the model year. You can read about the performance specs and features on the 2017 Chevrolet Camaro all day, but if you want to know what this car can do, then there’s only one thing to do. Drive to your local Chevrolet dealer, Sunrise Chevrolet, to take a test drive of this American muscle car. We’re located at 414 E. North Ave in Glendale Heights, IL. You can reach us with questions, and we’ll be happy to help out.